LionsDeal > Shop By Business > Pizza Shop Supplies > Pizza Dining Room Supplies >< Fast Food Trays > Thunder Group PLFFT1014 Rectangular Plastic Fast Food Tray 10-1/2" x 13-1/2"
Thunder Group PLFFT1014 Rectangular Plastic Fast Food Tray 10-1/2" x 13-1/2"
If you run a fast food restaurant or cafeteria, the Thunder Group PLFFT1014 Rectangular Plastic Fast Food Tray 10-1/2" x 13-1/2" is a must-have. Designed with a skid-resistant surface, this tray holds dishes and food in place during transport. In addition, it comes in five different colors that will easily match any dining setting. Manufactured from plastic, this tray is lightweight and exceptionally durable. As an added benefit, it can be easily stacked to save storage space. Thanks for helping me find the perfect food trays for my restaurant. 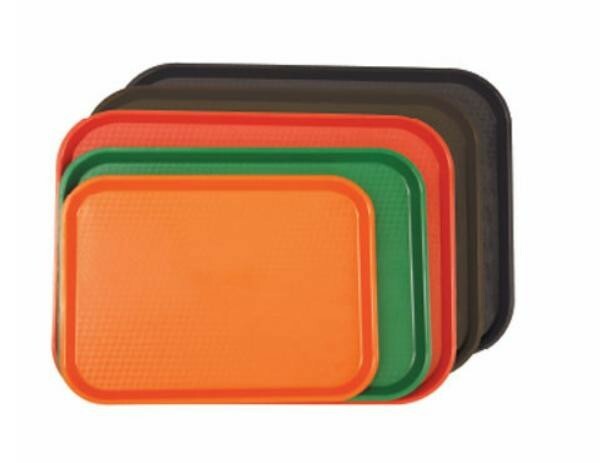 Lion's Deal customer service was so helpful and these trays are perfect for fast food, they are strong plastic and easy to wipe clean. 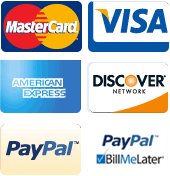 They are also very inexpensive. Q: how many trays are sold together? A: This item is sold as 1 dozen.